Bring OPC access to your Enterprise databases using the OPC DA Server for OLEDB! 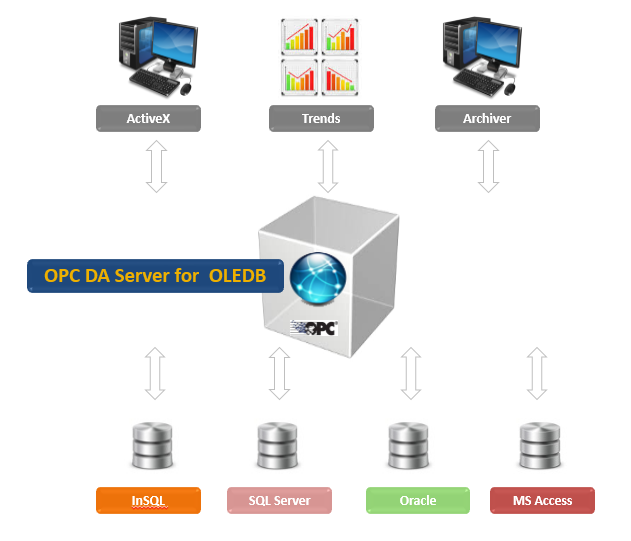 Integration Objects’ OPC DA Server for OLEDB is a plug-and-play OPC Server software. It supports OPC Data Access interfaces to provide OPC DA clients with real-time access to data collected from your databases. This OPC Server will enable OPC clients to read data as well as update the data within the database. The OPC DA Server employs industry standards (OPC and OLEDB) in order to build open architectures. Moreover, it brings a standard way to share your production data from Enterprises databases with systems such as historians, SCADA or DCS. OPC DA Server for OLEDB is a feature component of the OPC Driver for Databases.